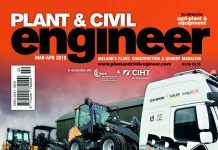 We are all for equality here at Plant & Civil Engineer, so it was good to hear a recent call from the Construction Industry Federation (CIF) for more females to be encouraged to make a career in the construction industry. That, they say, would go some way to meet current demand for skills and to deliver Ireland’s urgent housing and infrastructure needs. 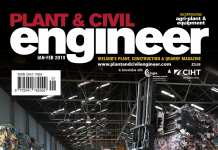 As we report in this issue, the CIF has launched its first Diversity and Inclusion Guidance Document for the Construction sector in a bid to address the existing gender imbalance. A recent survey revealed that over 70% of construction companies recognise the need for more women in the industry. However, on average approximately only 1 out of 10 construction workers are female. in fake CSCS cards, which undermines the value of the cards. On a more positive note, latest Construction Statistics show that construction output here in the second quarter of 2018 increased by 6.2% compared with Q1 2018, although was 2.5% lower compared to the same quarter in 2017. However, this latest increase brings the overall level of construction to a similar level to 2017. While many companies are investing in new equipment, the market for ‘used’ machinery keeps growing apace, according to Euro Auctions, one of Northern Ireland’s unsung success stories. The Co Tyrone headquartered company, with a truly global reach, reports that its October sale at its Leeds site was the biggest on record with over 4,800 lots going over the ramp and a total hammer of £42,515,535, an increase of 20% over the same sale in 2017. Global buyers hit another all-time high, with 59% of bidding being online. Well, that’s about it for now. 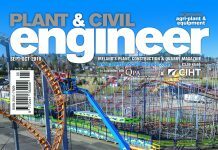 Our next issue will carry a full report in words and photos of who won what and why at our annual Plant & Civil Engineer awards. 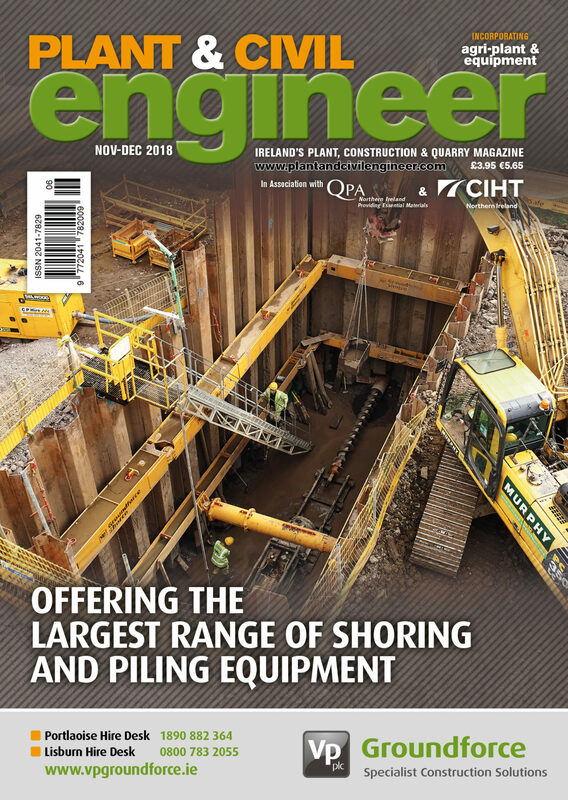 download the Nov-Dec 2018 issue of Plant & Civil Engineer Magazine.